iPhone sales dipped in the most recent quarter, and Apple's revenue and profit slipped too. 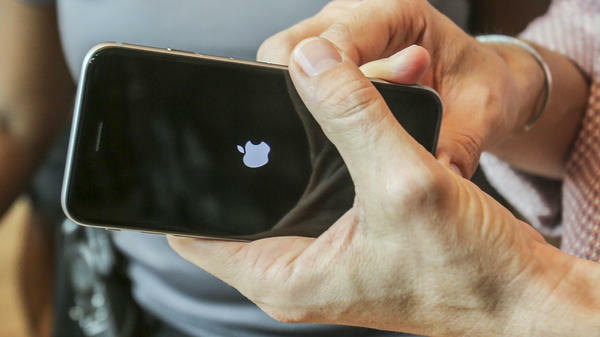 Apple's 13-year streak of making highly profitable products has hit a snag. In the most recent quarterly report, Apple says iPhone sales fell. And with nothing else to make up for it for now, Apple's revenue declined along with it, for the first time since 2003. The quarterly profit, too, dropped 22.5 percent. To be clear, this doesn't mean that Apple isn't making money — it's still a massive, multibillion-dollar giant that continues to promise high payouts to its shareholders. But the numbers support what many investors and analysts have predicted: that the reign of the iPhone is on the downturn. "While Apple executives had predicted iPhone sales would decline this quarter, they must reassure investors that the drop represents a momentary roadblock for the company, rather than a permanent shift for the product that fueled its meteoric rise." "Apple has high hopes for some of its consumer-oriented services, such as Apple Music and iCloud, as well as for its nascent Watch accessory, but those have yet to turn into giant businesses. The iPad tablet, once a powerful revenue generator for the company, has had disappointing sales in recent years, despite new, larger professional versions." Apple's latest major groundbreaking product was the Apple Watch, which hasn't taken off as much as its backers expected, while sales of the iPad also have been declining. In the press release, CEO Tim Cook suggested that the slow global economy weighed on the company, saying Apple faced "strong macroeconomic headwinds."